CLEVELAND, OH – April 22, 2015 – (GuitarPR) – Artisan Bass Works (ABW) has announced the availability of their new Fidelity Series basses. Seen as the pinnacle of their designs and the result of 5 years of development and testing, the Fidelity bass is the perfect combination of looks, playability, tonal range, and ergonomics. ABW stands out as a manufacturer of efficiently designed ergonomic bass guitars utilizing ANSIR Technology™. Their patented angled neck design puts the neck of the instrument in the perfect playing position with no effort on the part of the player providing maximum playability and faster fretting while relieving stress on muscles, joints, and connective tissue. Under the hood, the Fidelity features Aguilar OBP- 3 band preamp and Seymour Duncan Stack for Jazz SJB-5 pickups offering maximum onboard tonal control and dynamic range with zero hum. The bridge pickup has a defined, percussive character and the neck pickup has a broad warm tone perfect for slap-style playing. Paired with the Aguilar preamp wired at 18v, deep lows, articulate midrange, and sweet treble response are all just a knob twist away. 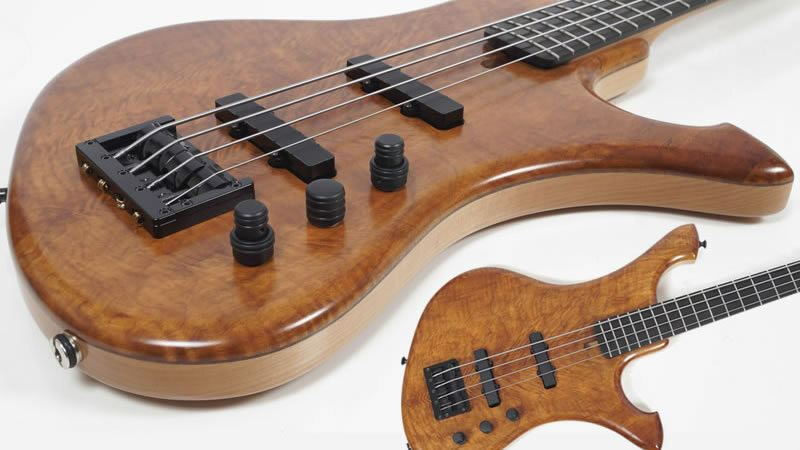 The new Fidelity Bass from Artisan Bass Works is available direct as 4 or 5-string starting at $1,999. ABW basses are 100% American made, utilizing the highest quality domestic hardware and components available. Many custom options can be added to any standard series bass to add personalization without a custom build price. Manufacturing is done at their facility located 25 miles east of Cleveland, Ohio USA.